While all of the Classics were stolen in the same geographic area of Ontario, police have not yet found evidence that links them together. The average observer might look at these thefts as connected, but Niagara Regional Police aren't investigating them that way right now, Det. Sgt. Thomas Manney told CBC News. "There's no commonality to link any of these vehicles right now," Manney said. March 4, from Effingham Street, Pelham: a 1969 Chevrolet Camaro. April 20, from Regional Road 20, Smithville: a 1950 Buick Sedanette. June 14, from Niagara River Parkway, Niagara Falls: a 1976 Chevrolet Corvette. Aug. 4, from Hwy 20, Pelham: Marcoux's 1971 Chevrolet Chevelle. Somewhere between Aug. 19 and Aug. 24, from Speers Road, Oakville: a 1980 GMC Caballero. Police investigations may have been hampered by the lack of details, documentation and photos of the stolen Classics. 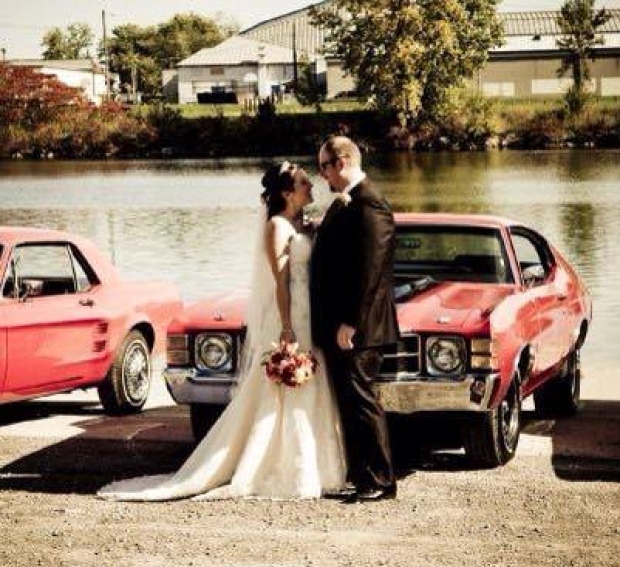 One owner, Shawn Marcoux, who's 1971 Chevelle SS was stolen noted his deep attachment to a car he had owned for 13 years, "When the cops came, I told them the only worse thing I could be giving you right now is a description of my kids." Anyone with information regarding these thefts should contact the Niagara Regional Police.